Good new for Moto G fans, Today Amazon has slashed price for Motorola Moto G Turbo Edition in India, now you can buy this at Rs. 4999. Motorola is one of the oldest phone makers in the world. Motorola is know for providing a near-stock Android experience in its smartphones and is quick to get the latest Android updates. 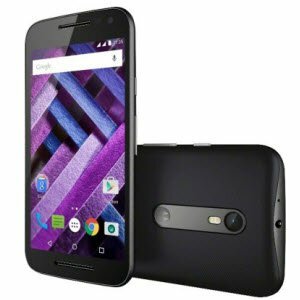 The Moto G Turbo Edition is an enhanced version of the Moto G 3rd-gen. It is IP67 certified, which allows it to be submerged in up to a metre of water for 30 minutes. The device has a waistline of 11.6mm and weighs 155 grams. It sports a 5-inch HD display with a layer of Corning Gorilla Glass 3, which keeps the scratches at bay. The Moto G Turbo Edition offers a 1.5GHz octa-core Qualcomm Snapdragon 615 processor, aided by 2GB of RAM and an Adreno 405 GPU. The Snapdragon 615 also offers 64-bit computing as well. The device runs Android 5.1.1 Lollipop, and comes pre-loaded with several signature Motorola software tweaks. It is upgradable to Android Marshmallow as well. For imaging, the G Turbo is equipped with a decent 13-megapixel primary snapper with an LED flash. For selfie lovers, it houses a 5-megapixel secondary shooter on the front. It comes with several imaging tweaks embedded into the camera app of the device. Storage needs are taken care by 16GB of internal memory, which can be further increased by inserting a microSD card. On the connectivity front, the Moto G Turbo Edition packs a bag. It comes with dual-SIM slots, 4G LTE support for Indian 4G bands, Wi-Fi, Bluetooth, micro-USB, A-GPS and GLONASS. The phone is fuelled by a 2,470mAh battery with fast charging support. It comes bundled with a TurboPower charger, which gives the device six hours worth usage time with just 15 minutes of charging. How to get Motorola Moto G Turbo Edition Rs. 4999?